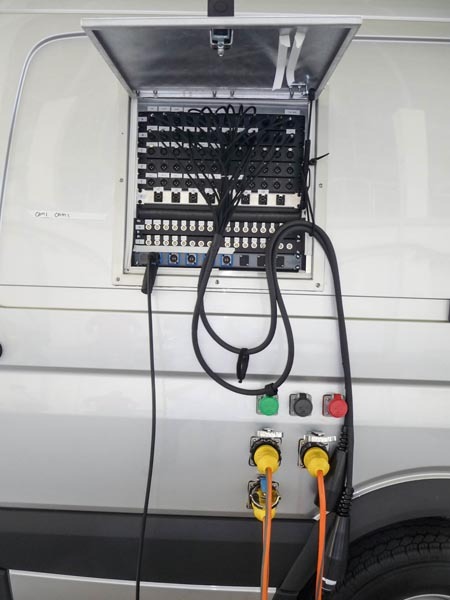 Turnkey Systems for ESPN3 Internet Broadcasting! 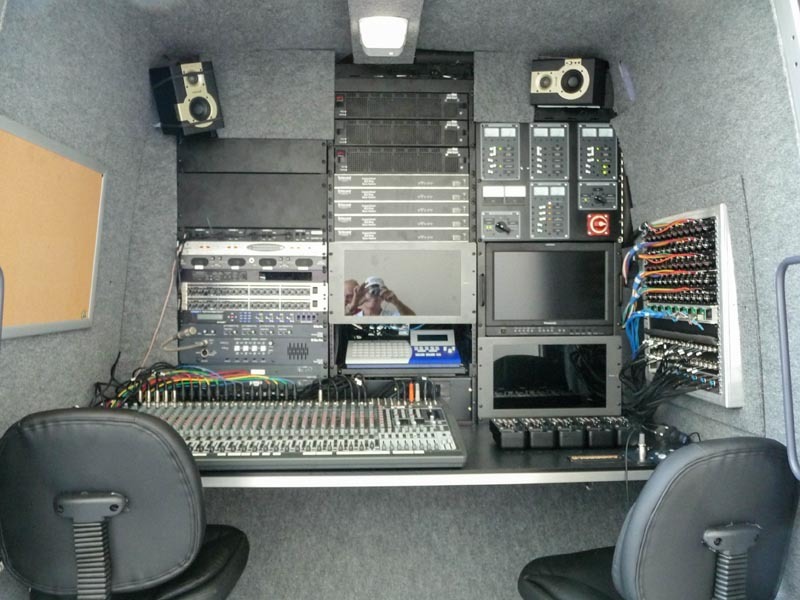 Mobile Studios worked closely with ESPN during 2010 to develop the first small-format production vehicle designed specifically for ESPN3 broadcasting... a Mercedes Sprinter built and delivered to Mobile Content Producers (MCP). 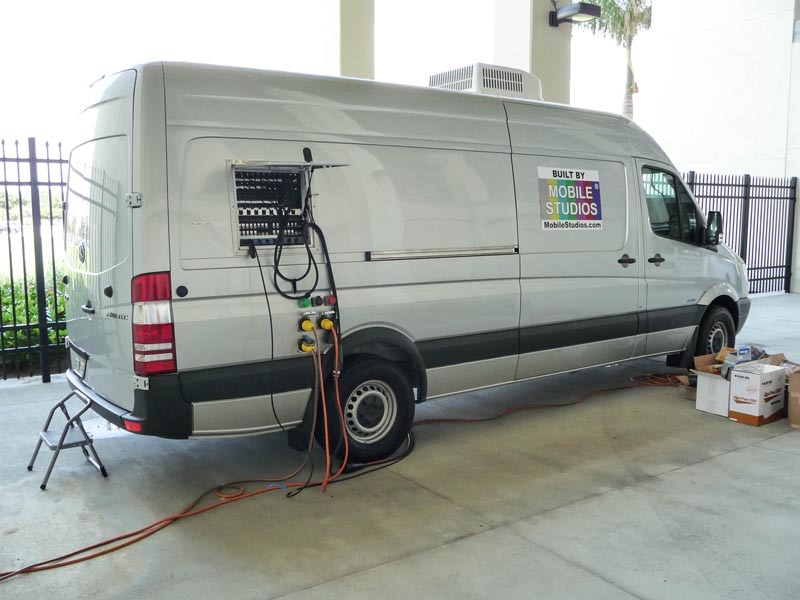 MCP was subsequently acquired by ROSS Video Productions and the Mercedes Sprinter was featured on the floor of NAB 2011. 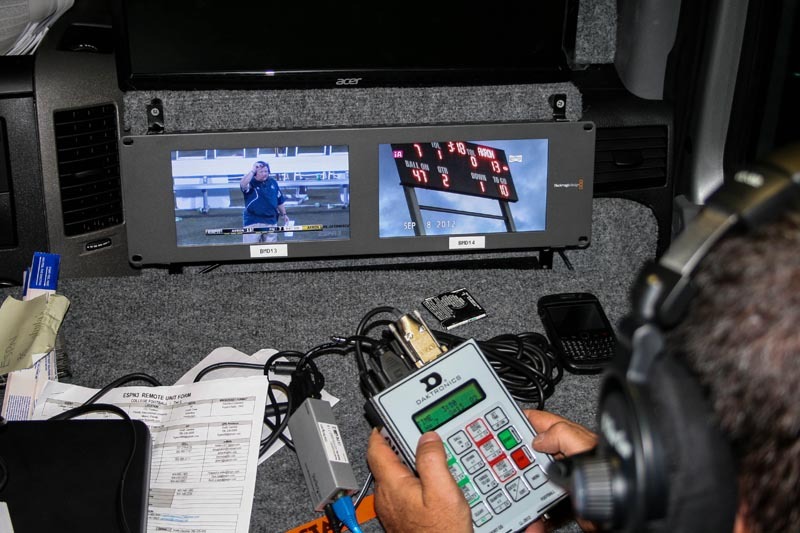 Configured for a nine man crew; Producer, Director, Technical Director, 2 Replay Operators, 1 Graphics Operator, 1 Audio Engineer, 1 Camera Shader….it provided ample space and desk area for all crew functions. 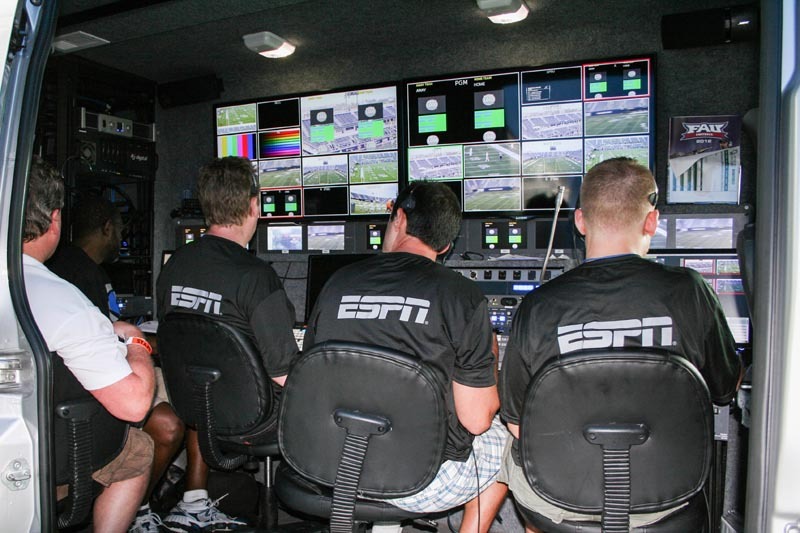 Since then, we have built many more systems for colleges and universities as our reputation has grown as the leader and go-to company for high quality ESPN3 compliant production systems. 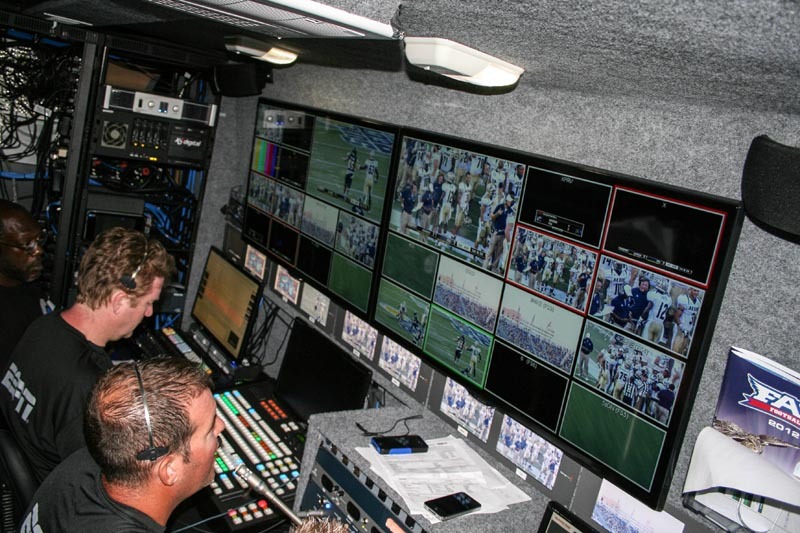 Recognizing that many schools cannot afford a fully equipped Mercedes Sprinter, Mobile Studios now offers a wide choice of more affordable portable production solutions that are fully ESPN3 compliant. 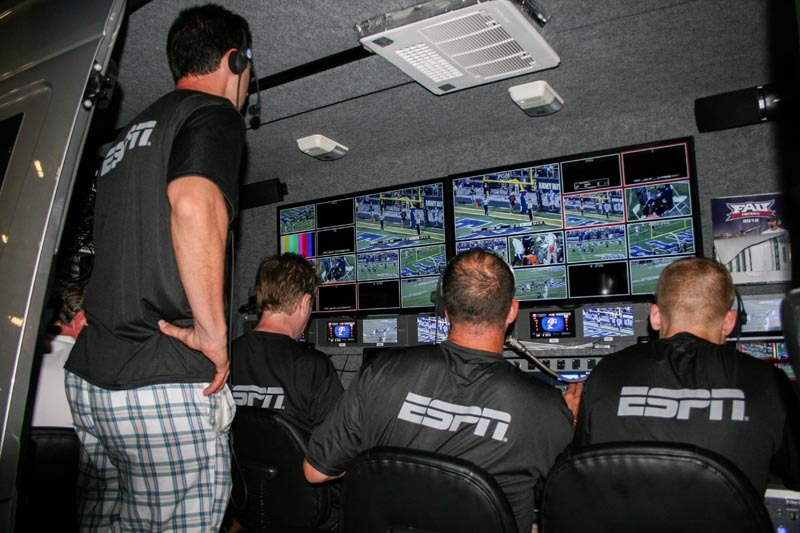 Whether it's a fixed studio, trailer or small-format vehicle for ESPN3 broadcasts....rest assured that you're in good hands when we build it!